After a long week of work travel, it was nice to spend some QT catching up with my own bed and good friends. On Saturday we ventured to Alcatraz to visit Ai Weiwei's @Large exhibit where we saw his work and also did the Alcatraz audio tour (which is SO fascinating, btw). 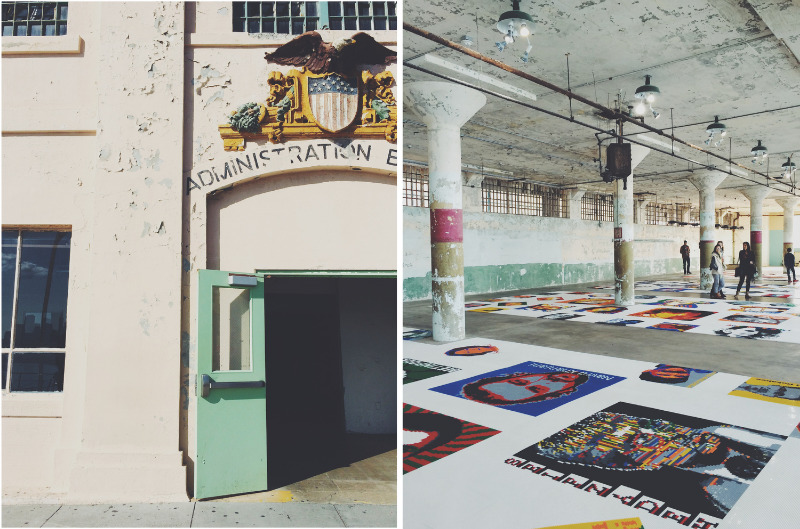 My favorite part of the exhibit was the incredibly vibrant kites hung about the New Industries building—the site where inmates would work doing laundry and manufacturing. The entire thing was so beautiful and erie. Hope you had a relaxing weekend as well and I wish you a painless Monday and speedy work week!